Looking for a morning activity before the wind really picks up? 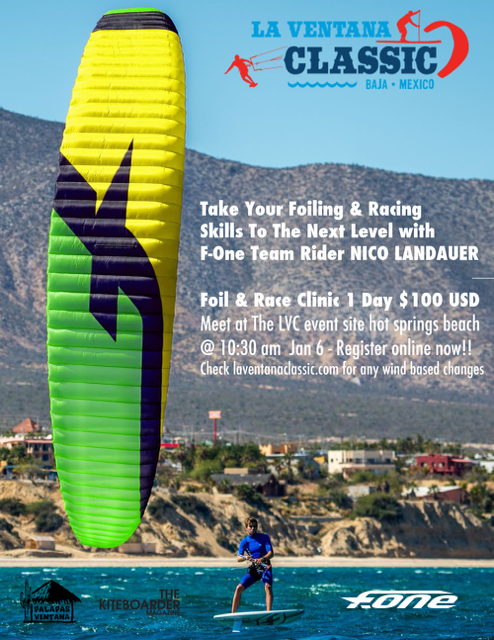 Always wanted to learn how to foil but not sure where to start? Already know how but need some pointers on how to improve? You’re in luck. 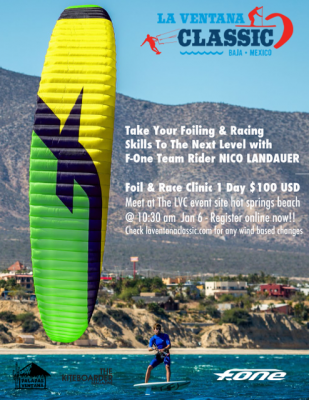 F-One and Manera Pro Athlete Nico Landauer will be hosting a foil clinic on January 6th, 2016 at the La Ventana Classic. Grab a spot while they’re still available.